A superhero clipart png with a transparent background. This Superhero is also available as vector AI file and comes for free download. 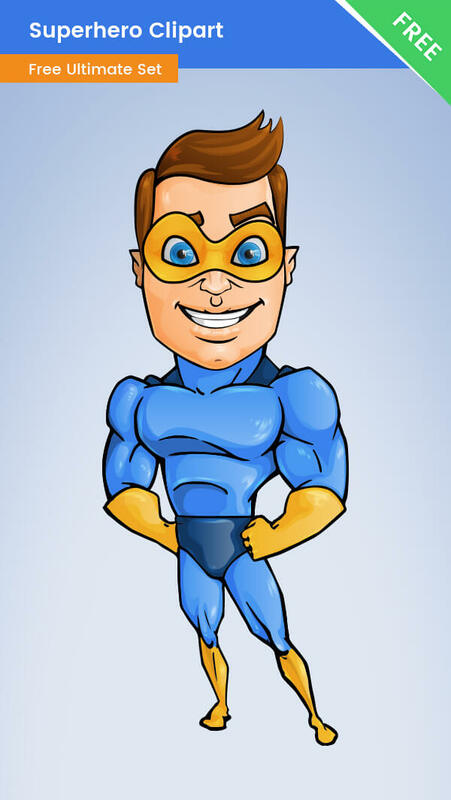 This male superhero clipart is perfect for any design when you want to show that your business has superpowers. This character is made of vector shapes, which is great if you want to modify the colors of the superhero or his shapes. You can do that very easily, with just a few clicks.